Late last week, NFL Hall of Famer Jim Brown came out to endorse President Donald Trump’s 2020 re-election, sending liberals to despair. The next day, rap star Kanye West met with the NFL great. Last Friday, the great Cleveland Browns running back endorsed the president’s re-election bid but noted that his endorsement would make him “very unpopular” among many in the black community. West himself has raised the hackles of liberals by refusing to condemn the president. In April he posted a photo of himself wearing one of the president’s signature “Make America Great Again” hats. West also met with Trump at Trump Tower right after the 2016 presidential campaign and has several times bucked liberal orthodoxy by saying he likes the president. But, the hip-hop mogul has not limited himself to just praising Trump. He has also made to shake up other liberal shibboleths. West slammed Obama as a do nothing president and attacked him as an “opioid” for black people. 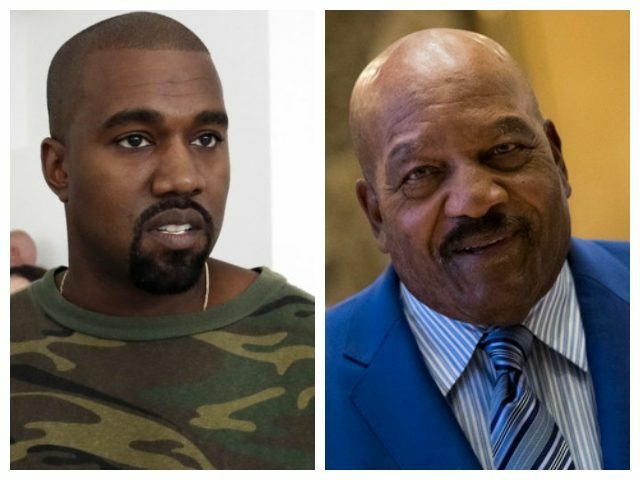 West also had praise for black conservative activist Candace Owens and even said he felt the need to apologize to George W. Bush for saying back in 2005 that Bush hates blacks.